It is this time of the year again! What would be Christmas without a few extra special treats? Just follow the recipe below. I’m sure your dog will be happy you put in the effort! Put the oats and the flour in a bowl. Wash the apple and remove the core. Then cut it up into small pieces. 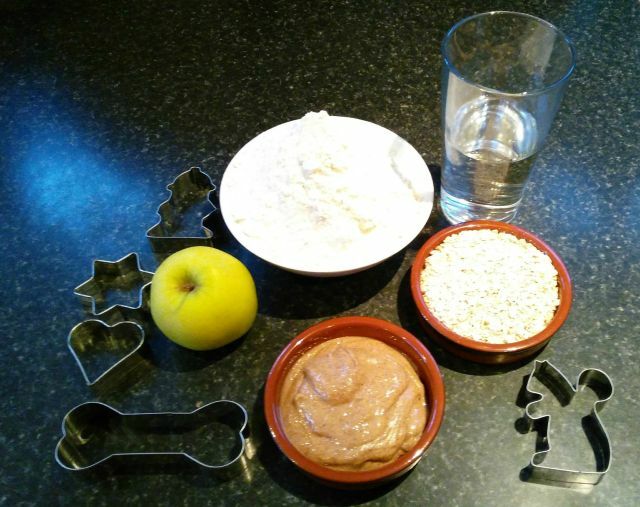 Add the peanut butter, chopped up apple and water into the bowl. 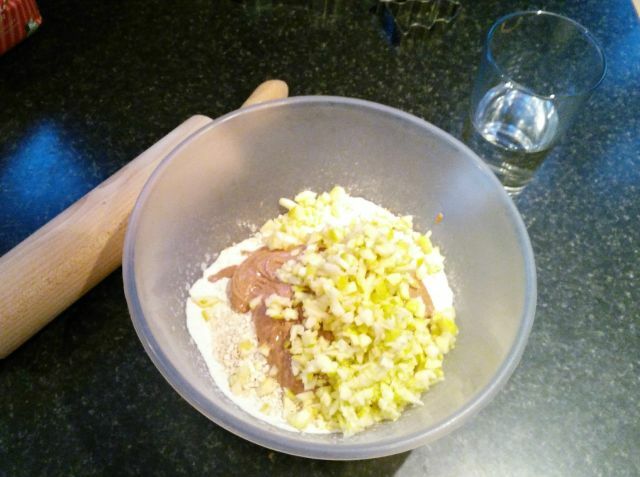 Mix the ingredients with the water until a dough forms. 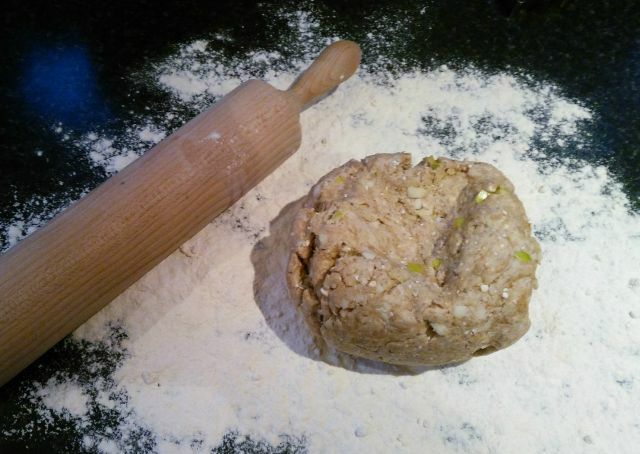 If the dough is too crumbly either add a little more water or a tablespoon of sunflower oil. 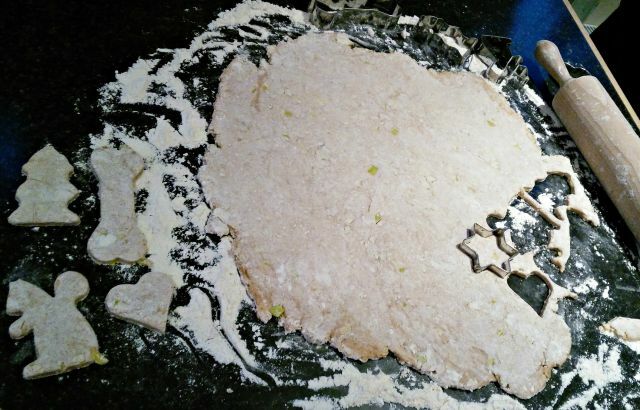 Roll out the dough on a lightly floured surface to approx. 0.5 cm thickness. 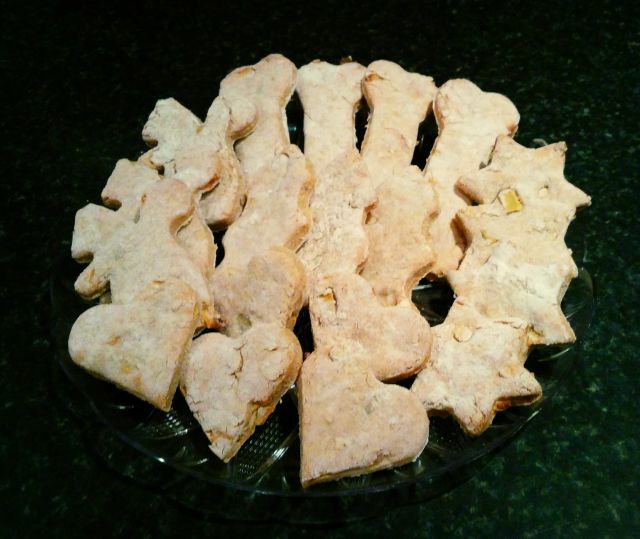 Place the cookies on a baking tray lined with baking paper. They can be put rather close together as they do not spread while cooking. Only feed in moderation to avoid an upset tummy. 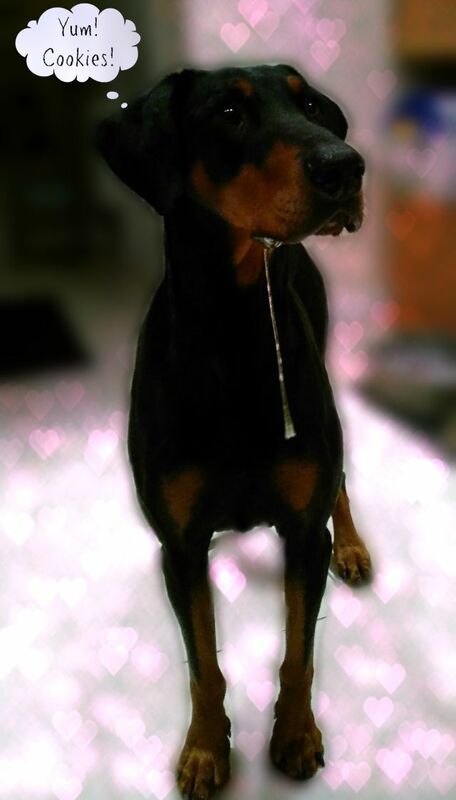 Adjust your dog’s daily food ration accordingly to avoid overfeeding. Don’t feed to any dog that suffers from intolerance or allergy to any of the ingredients. ⟵My dog LOVES to dig, and that’s ok!